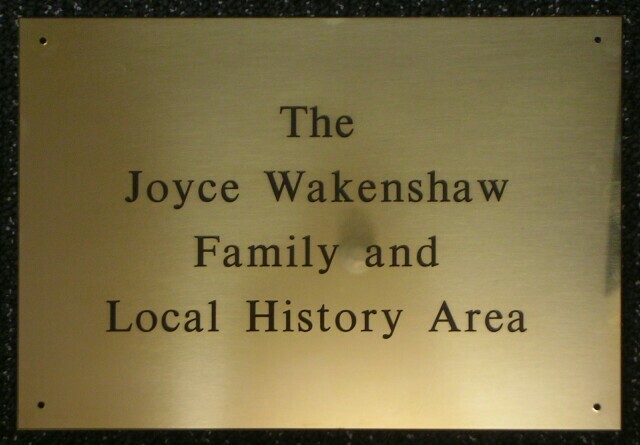 In 2016 the Society has received a bequest of £191,700 from a longstanding member to be known as the The Joyce Wakenshaw Bequest. There are restrictions on what the bequest can be used for, and it cannot be used for day-to-day running costs. A copy of the Will is held at Percy House and is available for members to examine. 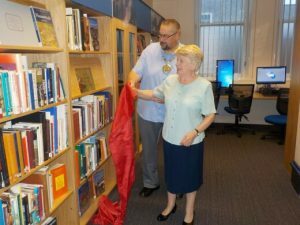 The first grant from the bequest has been paid to the library at Blyth to pay for the refurbishment of the Family and Local History Room. This was opened on Wednesday 12th October 2016 by Councillor Alan Sambrooke, Civic Head of Northumberland County Council, jointly with our Chairman, Joyce Jackman. 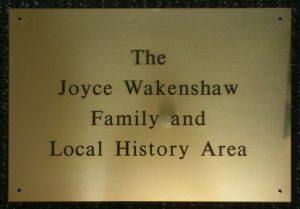 The plaque records the name of Joyce Wakenshaw whose generous bequest funded this much improved resource.